Sweden put up a fantastic performance in their last group match against Mexico to qualify for the round of 16. 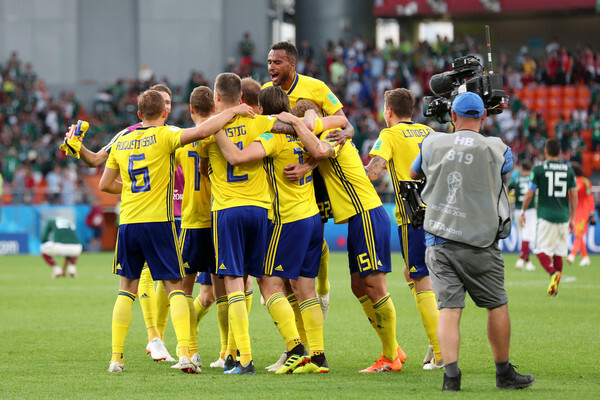 The Scandinavian country was on the brink of elimination as they surprisingly beat high flying El Tri who have been the rave of the tournament with their beautiful attacking football. Mexico went into the game with all the hype after beating Germany in the group opener and taking all three points off the Koreans, but the Swedes had other plans as they thrashed the North Americans 3-0 to qualify. This result knocked the defending world champions out.